Athena Software's secure, web-based case management software system streamlines data entry, recordkeeping and reporting and offers real-time analytics to help Parents as Teachers effectively manage its data-driven family support services. The ability to tailor Athena’s Penelope software to meet our needs allows our programs and affiliates to deliver consistent, timely data and provides faster access to critical information to track and develop reports. Athena Software (http://www.athenasoftware.net) today announced the successful implementation of the first phase of its Penelope case management software by Parents as Teachers, an international non-profit organization that promotes the optimal early development, learning and health of children by supporting and engaging their parents and caregivers. Parents as Teachers (http://parentsasteachers.org) provides early childhood educational support and training to parents of 212,000 children in families from all 50 U.S. states and six other countries via a network that uses its early childhood development, learning and health curriculum through personal visits, community connections, support services and referrals. Athena worked closely with Parents as Teachers during each step of the development process and throughout the launch phase this past summer to help ensure a smooth transition to the new data management system. An initial cohort of users was selected to test the system and Athena provided technical assistance. In addition, Fox and other Athena staff members recently attended the Parents as Teachers national conference in Dallas to speak with users about their experiences with Penelope, and to showcase relevant features in the integrated case management software system. Richard Wollenberger, Director of Information Technology at Parents as Teachers, said Penelope’s versatility and comprehensive features, including its compatibility with the Tableau reporting tool to create data visualization and custom reports, were key factors in the selection process. Athena also worked with Parents as Teachers to automate the electronic transfer of information from its previous system into Penelope. “This connectivity represents long-term time and cost savings,” said Wollenberger. Athena Software (http://athenasoftware.net) is a case management software provider based in Waterloo, Ont., Canada. 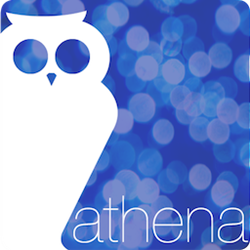 Since 2001, Athena has grown to partner with hundreds of organizations across the globe, with over 17,000 end users of its Penelope case management software solution. Founded in Missouri in 1984, Parents as Teachers serves more than 212,000 children in all 50 U.S. states, more than 100 Tribal organizations, schools and communities, and six other countries. Its internationally recognized network provides parent education through personal visits and group meetings, equipping parents with knowledge and resources to prepare their children, from birth through kindergarten, for a stronger start in life and greater success in school. Parents as Teachers programs operate in various settings, including schools, hospitals, faith-based organizations and housing communities. For more information, visit http://www.ParentsAsTeachers.org. Parents as Teachers helps over 200,000 children and parents worldwide.